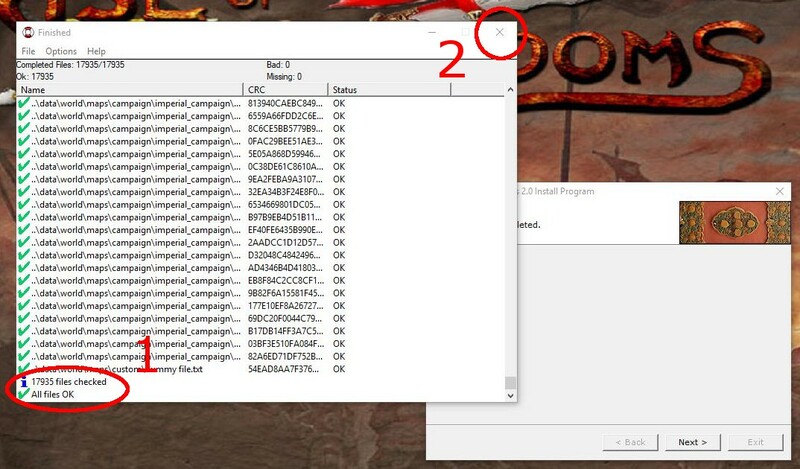 To avoid problems when applying patches and mod installations in general it is advisable to run this tutorial from step 3 onward and then to delete the Medieval II Total War folder in the virtual store folder. 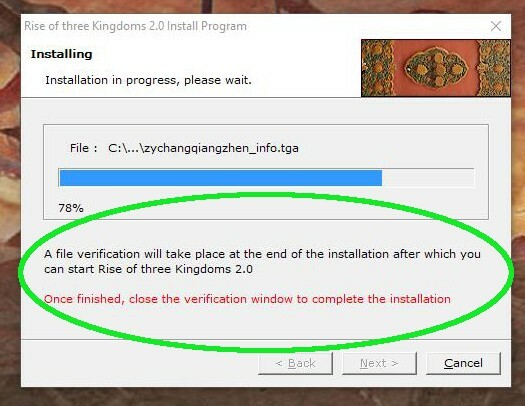 If downloading via MediaFire, be aware that the contents (5 files) of the Rise of three Kingdom 3.0.zip must be extracted and placed into the same location/directory (as pictured in the 'Download Content' image above) prior to running the installers. Mac\Linux Users: all files are in small caps which should make it easier to get the mod going. Should you get 'MyProduct' in the installation path simply point your browser (button with three dots) to the MAIN Medieval 2 directory - nowhere else! When running the mod for the first time, it may crash with the message below (in spoiler). Do not worry - simply run the mod again and it will work just fine. It is also recommended that your very first campaign be a "throwaway" - play it with understanding that it will randomly CTD on the campaign map and you will need to discard the campaign. If/when you come across the CTD issue, start a new campaign and the issue should go away. - Reworked Bonuses/Penalties for "Acumen," "Benevolence," and "Fealty"